With over 400 Members and 35 yachts hailing from five Chicago marinas, Pinnacle Yachts is by far the world’s largest and most successful shared-yacht operation. The program has been entirely sold-out prior to the start of the season each-and-every year since inception in 1998. What is it about the program that makes it a such success? Pinnacle Members are an engaging, educated and affluent bunch, with an average age of about 50. Many have owned a boat in the past, and do the Pinnacle program instead for convenience rather than financial reasons. They are intelligent and eager to offer insights into the program. The program has evolved over the years, and this evolution has been driven largely by its Members who have heavily influenced the selection of yachts in the fleet, harbor locations, training curricula and scheduling software development. To Members old and new we send our sincere and many thanks. Some say that Pinnacle Yachts is more of a Tech Company than a boat business. Pinnacle has invested heavily in technology with just about every aspect of the program being handled online. Scheduling is particularly advanced, allowing the boat to be used for day sailing, weekend trips and week-long excursions while assuring fairness to all Members. Members report maintenance items, check weather, manage their usage schedules and access other information via the user-friendly system on their computers and smart phones. All boats in the fleet are tracked continually via satellite, monitoring critical systems and position. All this is connected to Pinnacle internal systems so that staff can manage the operation swiftly, efficiently and safely. Pinnacle is obsessed with safety, and views Member training and vessel maintenance as two primary safety elements. Every new Member, regardless of past boating experience, must undergo Pinnacle’s extensive on-the-water and online training, demonstrate boat handling skills, and pass a 100-question exam before taking the boat out on their own. All lessons are taught by USCG licensed Masters, many of whom have been teaching at Pinnacle for well over a decade, and who have guided the creation Pinnacle’s training programs. Pinnacle employs a team of skilled technicians who work on the boats year-round. From stem to stern, this team processes about 300 work orders on each boat during the off-season alone; and services each boat regularly and is on-call seven days a week during the season to assure peak working order. Pinnacle Yachts launched a 501(c)3 Public Charity, the Pinnacle Foundation, with its tag line borrowed from JFK — “A Rising Tide Lifts All Ships”. The foundation benefits child-related organizations in the arts, education, healthcare. The Chicago Regatta, the Air Show from the race yacht OCEAN, plus cash and in-kind donations from Pinnacle Yachts, yacht clubs, businesses and individuals fund the Pinnacle Foundation. At the close of 2018, the Pinnacle Foundation and its associates have provided nearly $300,000 in cash to child-related organizations. 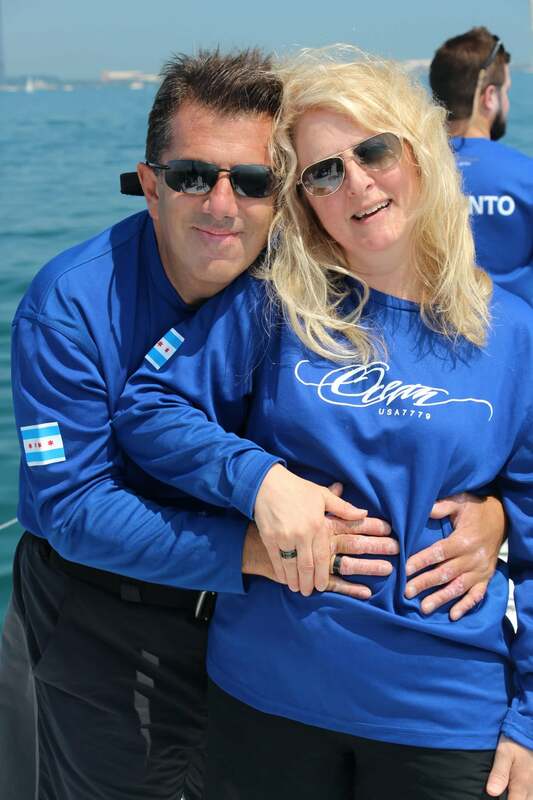 Pinnacle Yachts was founded by Patricia Feracota and Gary Feracota — avid sailors and accomplished business people. Pinnacle Yachts was conceived and foundered by Patricia, who serves as its President. Patricia is a Helmsperson and Trimmer of the turbo-class race yacht Vincitore, and previously of the 77 foot race yacht Ocean, then the largest racing sailboat in Chicago. She has raced the Chicago MAC, Bayview MAC, Queen’s Cup, Trans-Superior and other Midwestern distance races. Patricia has also crewed aboard the Volvo 70 foot yacht Monster Project in the prestigious RORC Caribbean 600. She has explored Greece and the Caribbean extensively by sailboat. Patricia served on the Board of Directors of MOMENTA, the dance company of the Academy of Music and Movement; the foremost institution for the serious study of dance for people across the entire physiological and economic strata. Prior to forming Pinnacle, Patricia was an auditor at Deloitte & Touche where she served the firm’s most complex and important clients. Patricia holds a BS in Accounting from the University of Illinois. Gary is Founder and President of the Pinnacle Foundation, NFP, a 501(c)3 public charity that supports the arts, education and community service. Gary is President of the USCG sanctioned Chicago Harbor Safety Committee. He also serves on the Chicago Park District Lakefront Advisory Board. Gary is Person in Charge of the turbo-class race yacht Vincitore, and previously of the 77 foot yacht Ocean, then Chicago’s largest racing sailboat. He has campaigned race yachts extensively on the Great Lakes. He also raced the Volvo 70 foot yacht Monster Project in the Royal Ocean Racing Club’s Caribbean 600, and the infamous Fastnet race off England and Ireland. 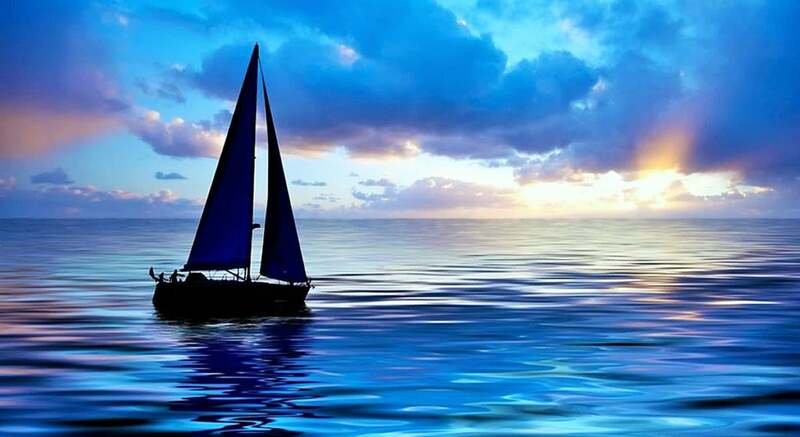 Gary also has considerable experience sailing the waters of Greece and the Caribbean. He has also made a 1,800 mile Atlantic Ocean passage and a 1,300 mile Caribbean Sea passage. The Chicago Yachting Association, a collective of twenty-five yacht clubs and marine organizations, selected Gary as 2015 Yachtsperson of the Year for outstanding leadership. Gary was elected 2014 Yachtsperson of the Year by Lake Michigan Sail Racing Federation Area III for his philanthropic efforts and contributions to the sport of sailing. Gary served on the Board of Directors of Mercury Air Group, a billion dollar then publicly-traded company that provides services for fractional jets, commercial airlines and military airports globally. He was the Chairman of the Audit Committee, Chairman of the Finance Committee, and a member of the Strategy, Nominating, and Compensation Committees. He served as turn-around CEO for a software company, consummating the favorable sale of the firm to a private investment group. Gary had a long and distinguished career as a management consultant. He was a Partner at Deloitte Consulting where he led the firm’s manufacturing practice in Chicago. He was also a consultant with Andersen Consulting (now Accenture). Gary is an Eagle Scout. He is thankful to the fine men and women who took him under their wings and taught him about leadership and integrity. He served on the Annual Fund Board, and on the Distinguished Alumni Committee of the University of Chicago Graduate School of Business (now the Chicago Booth School of Business). Gary holds an MBA from the University of Chicago Graduate School of Business, a BS in Physics from Northern Illinois University, and has completed the curriculum in Corporate Governance at Harvard Business School.